Travel Insurance – is it necessary? Don’t contemplate travelling without travel insurance, it’s just not worth it. Also don’t skimp on the policy you choose, pay the $150 - $400. Don’t be one of those traveller’s whose family have to set up a Go Fund Me page to get you home or the medical care you need. Make sure you add on any extras like motorbike, bungee jumping, hot air ballooning, and skiing activities at the time you organise your travel insurance. You can add the extras later, but it will cost you more. I always add extras to my travel insurance cover even though I don’t ride a motorbike, I figure that tuk tuks in Asia can fall into the same category and I just want to be covered. 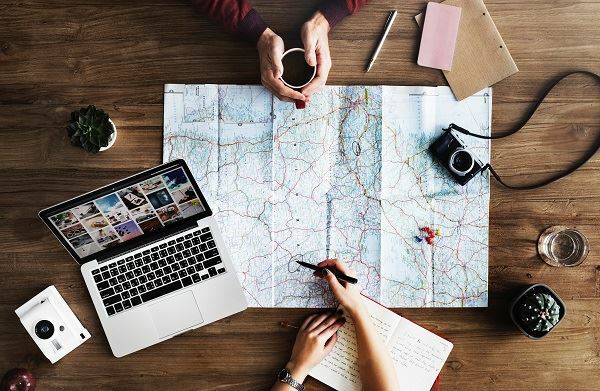 We have included a small sample of companies offering travel insurance, we have simply chosen ones that were easy and quick to get an online quote with. There are lots more out there, but getting online quotes from this sample will give you an idea of how much travel insurance will cost you. Our list of travel insurance companies is made up of Australian companies. If you are an international visitor on our website, our tips still apply to you but you need to research travel insurance companies in your home country. Credit card companies are offering travel insurance, but often it’s not very transparent and may not cover you adequately. Always check what is covered by downloading their insurance PDS. Paying for your overseas return flight with your credit card - Some credit card providers will also cover you if you use reward points to purchase your overseas return flight but others will not. Paying a set amount of your overseas trip with your credit card - For example, if you pay $1,000 of your travel costs with your credit card before you start your trip. This could be for your airfare, prepaid accommodation or airport taxes. Each policy is different so make sure you check with your provider how to activate it. Most credit card providers have a booklet containing the terms and conditions of their credit card travel insurance. You can usually find this in the welcome pack for your credit card, on the provider's website or you can ask them to send you a copy. Be aware that most credit card travel insurance usually only covers you for the trip you have paid for on your credit card and only for overseas travel. If you want travel insurance for trips within Australia, you should consider taking out separate travel insurance. No policy is the same, especially when it comes to what's covered and the exclusions. You should check the terms and conditions to check you'll have enough cover. If you are aged over 80, check your policy to see if you are covered by your credit card travel insurance. Some policies have age restrictions. To make a claim you will need to contact the insurer that provides the cover. The details of the insurer will be in the terms and conditions.